No article questioning the safety of genetically modified (GM) foods is complete without a rebuttal consisting of reassuring comments to the effect that every credible scientific and government organisation has said that GM foods are safe. Who would dare argue with such an impressive roster of expert opinion? Unfortunately, however, the claim that these bodies have declared “GMO crops to be safe” is both fraudulent and misleading. Let’s look more closely at the positions of the organisations that reportedly say GMOs are safe. In 2012 the board of the AAAS, headed by GMO promoter Nina Fedoroff, issued a statement claiming GM was “safe” and opposing the labeling of GM foods, which it said “can only serve to mislead and falsely alarm consumers”. However, the board’s statement was promptly condemned by 21 scientists, including many members of the AAAS, as “an Orwellian argument that violates the right of consumers to make informed decisions”. The scientists warned in particular that the herbicides with which GMOs are grown “may induce detrimental health effects even at low exposure levels”. The AMA’s Council on Science and Public Health has issued a statement opposing GMO labeling. The statement does not claim GMOs are safe. It acknowledges “a small potential for adverse events… due mainly to horizontal gene transfer, allergenicity, and toxicity”. 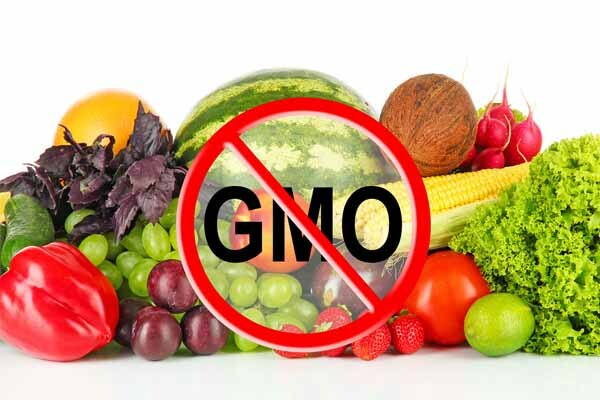 It therefore recommends mandatory safety assessments prior to release of GM foods – a system which, as the statement said, is not in place in the US. The NAS has not issued any blanket claims of GMO safety. It did issue a report in which it analysed a range of plant breeding techniques and concluded that GM posed a higher risk of introducing unintended changes into food than any other crop breeding method other than mutation breeding – a method in which plant genomes are bombarded with radiation or chemicals to induce mutations. Many opponents of GMOs are also skeptical about the safety of mutation breeding, and in fact, the scientific jury is still out on the relative safety of these two methods. But the fact that mutation breeding slipped under the regulatory radar before scientists realised its potential harmful effects (such as the production of new toxins and allergens) doesn’t justify failing to regulate and safety test GMOs. To argue that it does is equivalent to saying that because lead was once allowed in paint and petrol, we should not doubt the safety of other heavy metals, such as mercury. But those who claim the WHO says GMOs are safe omit its preceding text: “Different GM organisms include different genes inserted in different ways. This means that individual GM foods and their safety should be assessed on a case-by-case basis and that it is not possible to make general statements on the safety of all GM foods.” Scientists on both sides of the GMO debate would agree with this statement. 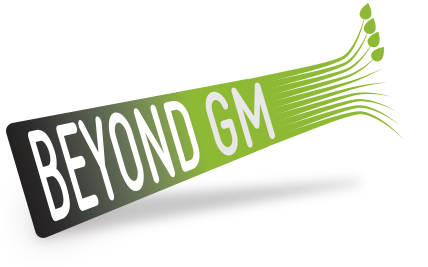 The WHO also recommends that “adequate post market monitoring” is carried out to ensure the safety of GM foods. Yet such monitoring is not carried out anywhere in the world. This fact would explain the WHO’s statement that “No effects on human health have been shown as a result of the consumption of GM foods.” It’s difficult to find such effects if you are not looking. The European Commission as a whole has not issued any position statement on GMO safety. In 2010 two of its divisions, Research and Innovation and Biotechnologies, Agriculture and Food, issued a pro-GM report called “A decade of EU-funded GMO research”, which concluded that GMOs are “not per se more risky” than non-GM foods. However, the report presents no data that could provide such evidence – for example, from long-term feeding studies in animals. The project was not even designed to test the safety of any single GM food, but to focus on “the development of safety assessment approaches”. I and my co-authors on the book GMO Myths and Truths searched the report for peer-reviewed, published animal feeding studies with GMOs. We found only five. None of the studies tested a commercialised GM food; none tested the GM food for long-term effects; all found worrying differences in the GM-fed animals, including alterations in blood biochemistry and immune responses; and none were able to conclude on the safety of the GM food tested, let alone on the safety of GM foods in general. So the EU research project provides no support for claims of safety for any GM food and actually provides evidence that some GM foods can be toxic or allergenic. Interestingly, in 2013 another EU authority looked into GM crop safety and came to a very different conclusion – one that is often omitted from pro-GM arguments. What are we to make of the conflicting conclusions reached by different European authorities? They show that even between EU institutions, as nearly 300 scientists have stated in more general terms, there is no scientific consensus on GMO safety (See: http://www.ensser.org/increasing-public-information/no-scientific-consensus-on-gmo-safety/). There is, of course, another side to the story, and that is the many expert bodies that have issued cautionary opinions about GMO safety. The Society issued a report that was highly critical of the lax regulatory system for GM foods and crops in that country. The report said it is “scientifically unjustifiable” to presume that GM foods are safe without rigorous scientific testing and that the “default prediction” for every GM food should be that the introduction of a new gene will cause unanticipated changes, such as the production of new allergens. A report by the BMA concluded that with regard to the long-term effects of GM foods on human health and the environment, “many unanswered questions remain” and that “safety concerns cannot, as yet, be dismissed completely on the basis of information currently available”. A recent report by ANSES confirms that there is still very little data on the long-term safety of the most commonly used GM crops. It is telling that even this report should reach this conclusion because it was issued in an apparent attempt to salvage the reputation of GMOs in the face of the long-term feeding study on GM maize and Roundup herbicide by Prof Gilles-Eric Séralini’s team. Séralini’s study had found that the GM maize and tiny amounts of the herbicide it was grown with caused toxic effects in rats over a long-term period. ANSES searched the scientific literature to find comparable long-term studies on GM herbicide-tolerant crops, which make up over 80% of GM crops worldwide. Astonishingly, it found only two. One, by a team of Italian researchers, found toxic effects from mice fed GM Roundup-tolerant soya over the long term. In the second, a Japanese team fed GM Roundup-tolerant soya to rats. The Japanese study claimed to find no adverse effects in GM-fed rats (though they did show significant differences). However, the researchers seem to have used GM soya that was not sprayed with Roundup during cultivation, since glyphosate was only found at the limit of detection. This does not reflect how GM Roundup-tolerant soya is normally grown or the level of residues typically found in the harvested crop. So the study is worthless in assessing the actual toxicity of this type of GM soya. Claims that august international institutions believe that GMOs are safe are often repeated secondhand or given with the confidence that few readers will bother to check for themselves to see what was actually said. Yet this is exactly what we must do if we are to immunise ourselves against the tide of misinformation generated by GMO promoters. Claire Robinson is a co-author with two genetic engineers on the report, GMO Myths and Truths: An evidence-based examination of the claims made for the safety and efficacy of genetically modified crops and foods, available for free download at earthopensource.org. She is also an editor at GMWatch, a news and information service dedicated to exposing the disinformation and spin of the GMO lobby. For e German translation of this article please see here.